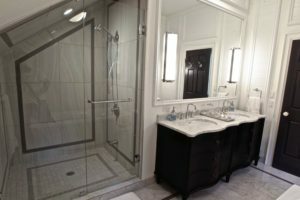 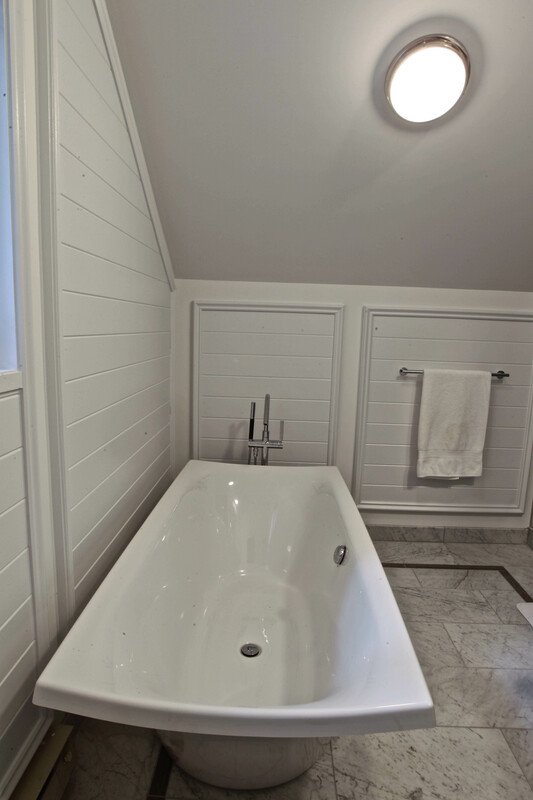 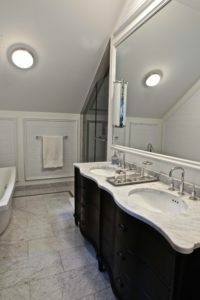 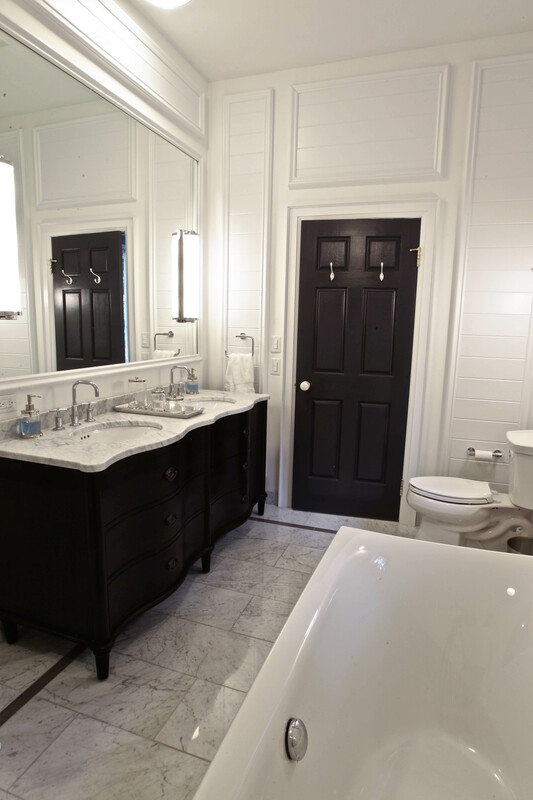 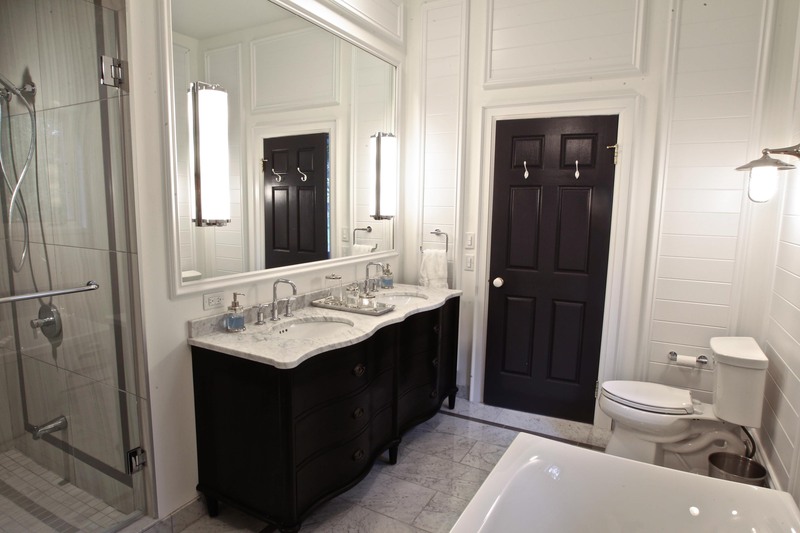 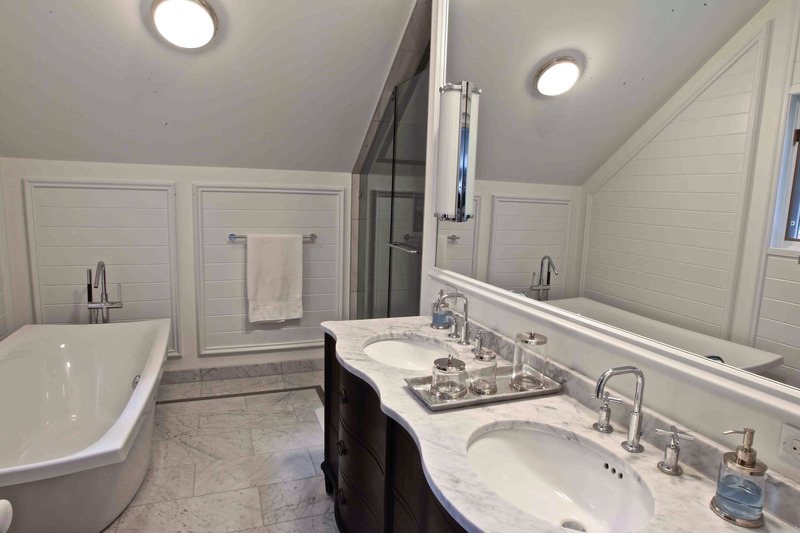 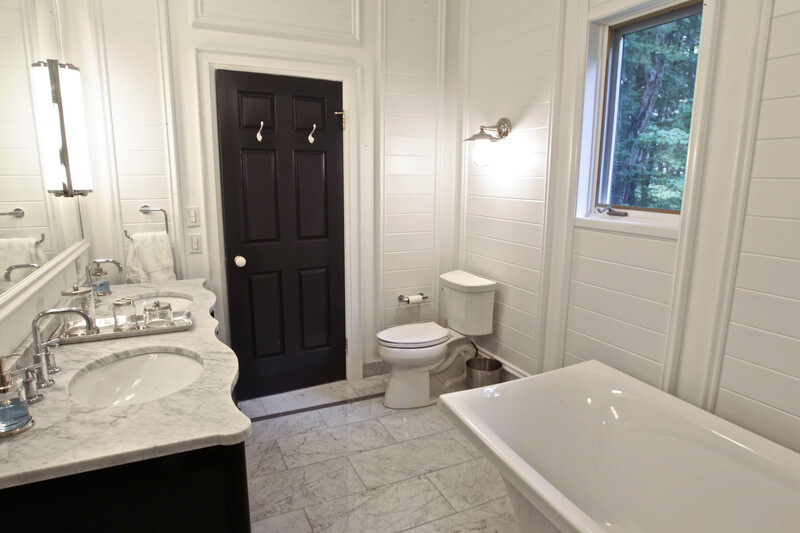 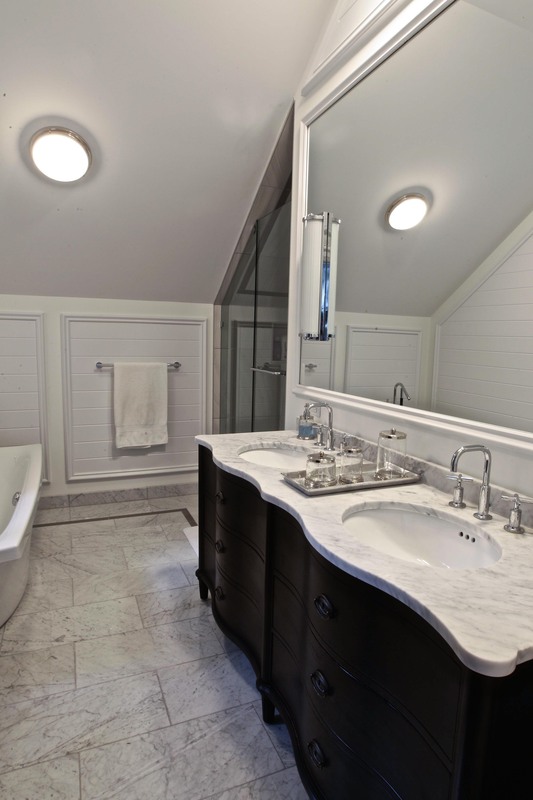 This clean and modern Stoney Lake bathroom renovation was a result of a beautiful collaboration with the team at Taylor Hannah Architect Inc. 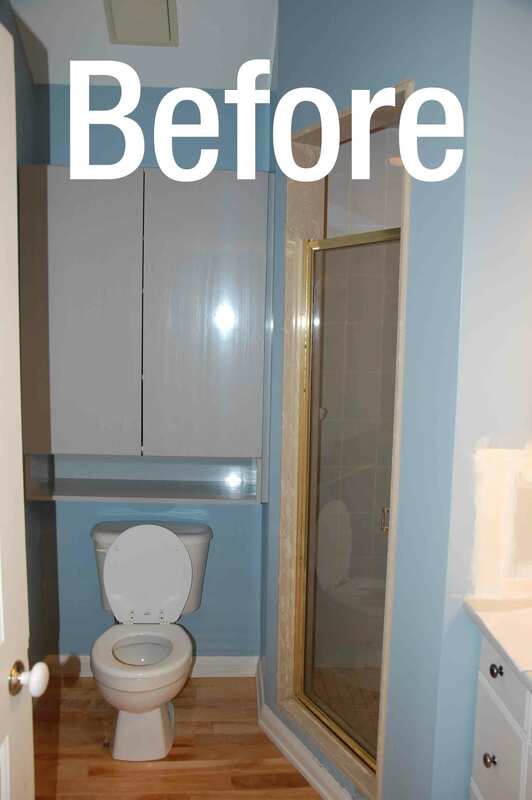 The existing bathroom was dated and had limited space. 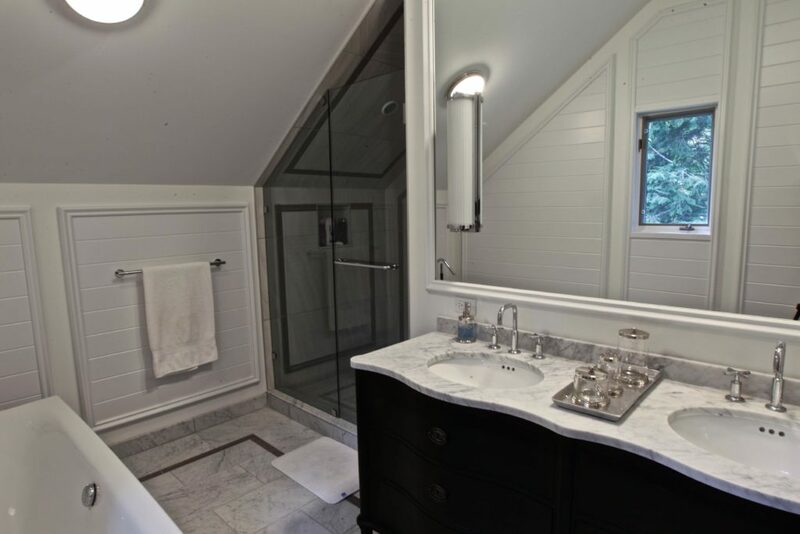 Fortunately, there was some under-utilized space beneath a sloping ceiling in a small closet adjacent to the ensuite. 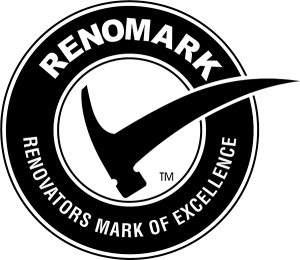 By removing the partition wall, we were able to expand the footprint. This meant we could create a funky sloped ceiling shower. This added more space to the room and created intrigue through the use of mouldings applied to the walls. 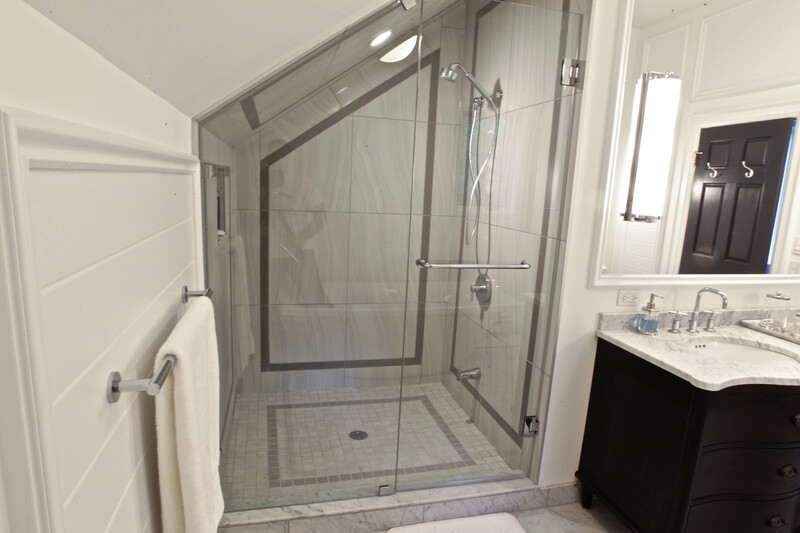 Overall, a rather mundane space was elevated to a more sophisticated level of design.